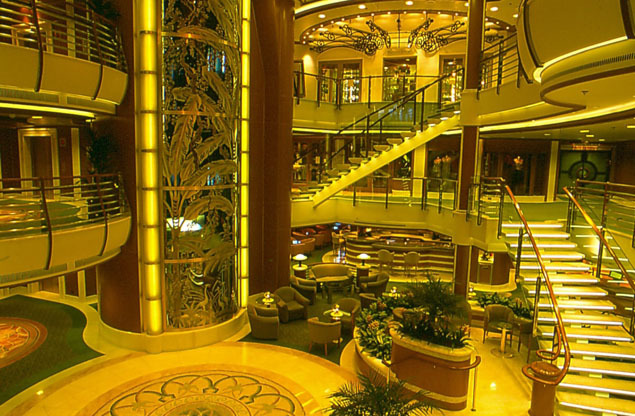 Emerald Princess is a modern and lavish cruise ship, with so many choices that you'll be amazed when you walk on board! Choose from different dining options, choose from spa treatments, and choose which swimming pool you want to relax by! 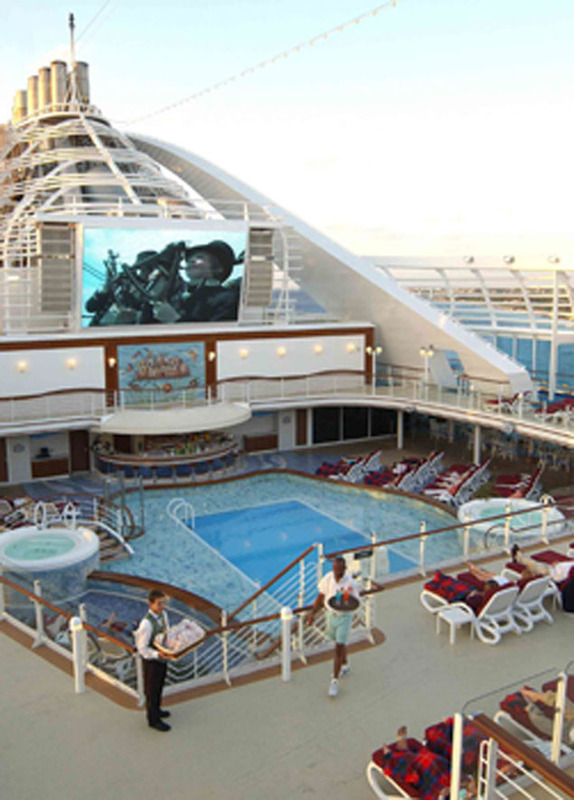 This ship has 900 balcony staterooms, as well as endless options for entertainment! 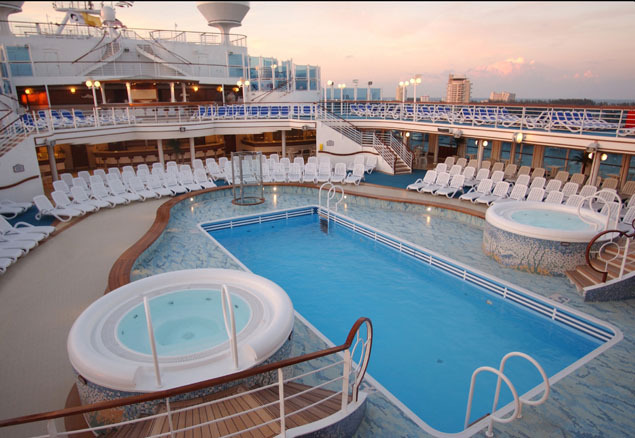 So make the right choice, and choose to take a vacation aboard Emerald Princess! 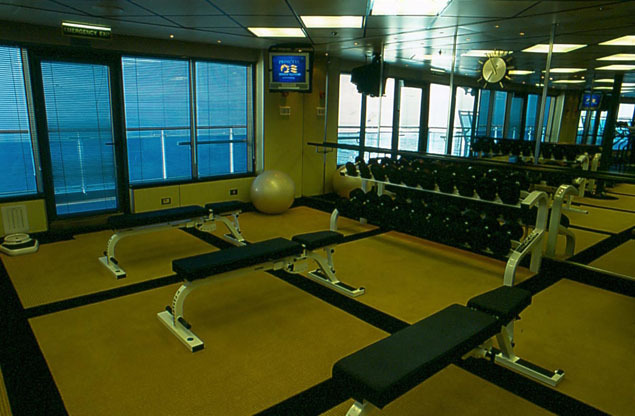 Emerald Princess has great amenities, and they're so diverse there's something for everyone to enjoy! The ship will keep you on the run - there's basketball, paddle tennis, a jogging track, shuffleboard, a gym and fitness area, and more! Check out the Lotus Spa® for an all-day pampering, or take a dip and swim against the current in the special pool! There's a nine-hole putting course, and even a virtual golf simulator so you can practice your swing! Once you've worked up a sweat, cool off poolside at the Calypso Reef, or Neptune's Reef - both of these pool areas feature two hot tubs, as does the Lotus Spa pool! There's also the Terrace pool or the Sanctuary, which is adults-only! Head over to the boutiques on this wonderful ship, and enjoy duty-free shopping and great deals on designer clothing and gifts! There's an art gallery that features an auction, a library, a wedding chapel, conference center, and a 24-hour Internet Café with wireless accessibility! The ScholarShip@Sea makes learning fun with cooking classes, seminars about your destination, and other interesting lectures! So get ready to explore what this great ship has to offer! 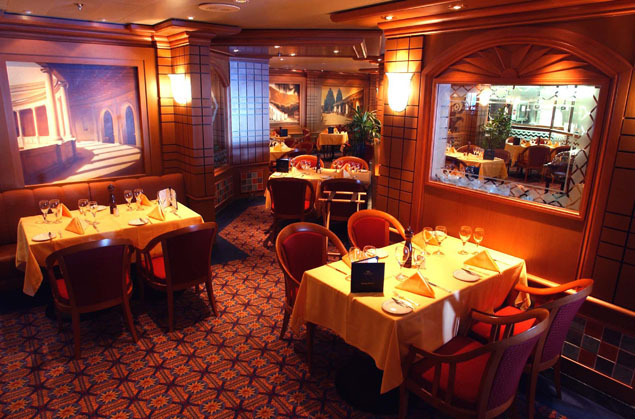 Speaking of choices, dining on Emerald Princess is all personal, and all your choice! Choose the traditional dining and enjoy your meal at the same time each day in a formal dining room like the Boticelli! Anytime dining is offered in the Michelangelo Dining Room, and in the Da Vinci Dining Room. The ship even has two specialty restaurants and a very special program that serves you your meal with a breathtaking view on the balcony - Ultimate Balcony Dining! Sabatini's is an Italian restaurant with amazing food, and the Crown Grill serves steak and seafood! There are also other options for good eats - head over to the Horizon Court Buffet and Bistro, or check out the Café Caribe! Vines is a wine and seafood bar, and there's also the Trident Grill, which serves burgers and hot dogs. The International Café is open 24-hours a day! Afternoon tea is available, and there's a pizza and ice cream bar too! Don't forget, the ship has 24-hour room service! 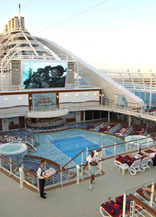 Emerald Princess has lots of onboard entertainment, and there's something for everyone! Get ready for a great time, featuring professional performances of musicals, live music, and comedy acts! Head to the Princess Theater to catch a show, or see a first-run movie at the Movies Under the Stars® poolside movie theater! Gatbsy's Casino has all of your favorite casino games - poker, roulette, slots, and more! The Explorers Lounge features a nightclub-style performance, while the Skywalkers Nightclub makes you feel like you're dancing in the stars - it's 15 decks above the ocean! Don't forget to check out Club Fusion! For something a little more laidback, head over to the bars and lounges - the Wheelhouse Bar, the Adagio Bar, and the Crooners Bar are all great places to relax, enjoy a cocktail, and reminisce about the day! The Speakeasy Lounge also lets you smoke cigars, so grab a good stogie and start a great conversation!